For the first time after independence, in the regions of eastern Macedonia tables on bilingualism have been placed . 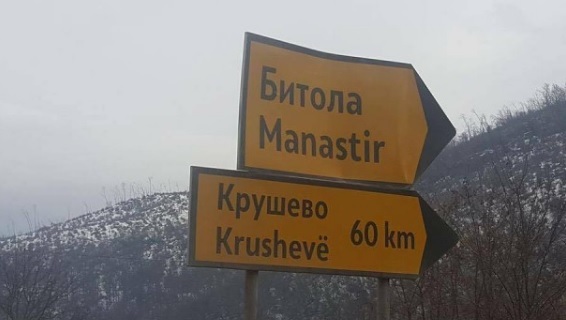 INA news agency brings a table in Albanian, which indicates the direction to Bitola and Krusevo. Until now there had been no reaction from the Macedonian citizens, who accept the reality and the truth. Perhaps it should not be displayed any great enthusiasm for the fact that Serbs in Kosovo who compose about 6 percent enjoy this right more than 5 years ago.